I hope everyone had a safe and wonderful Thanksgiving! I have so much to be thankful for, including Eco-Office Gals. I could never ask for a better gift then the ability to be my own boss and work with some of the most amazing clients. I’ve had the pleasure of working with creative entrepreneurs and small businesses, building their little piece of web real estate. Just like buying a house, your website needs maintenance. You need a good foundation and you want to protect your investment. You don’t want all that hard work bogged down by slow servers or worse hijacked by a hacker bots. Good hosting and regular maintenance is a must and we’re delivering some awesome Black Friday WordPress Deals to make sure your website runs smooth and stays secure and up to date. Cyber Weekend offer: 3 Months FREE on any new annual hosting plan, OR 3 months free on any upgrade from a monthly plan to an annual one. Just use the code “flyday17” at checkout! 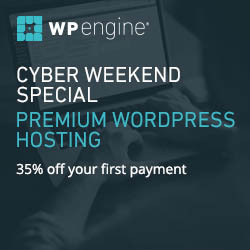 Cyber Weekend offer: Save 35% off your first payment with WP Engine! *Pro tip* This discount is applied in addition to the 2 months free already provided with any annual subscription! Users can get a total of 5 and a half months free when the pre-pay for the first year! With hosting taken care of, you need a well built solid theme! You want sleek, professional design — without paying a fortune for it and without fearing instant obsolescence. Genesis’ turnkey designs give you an array of beautiful frames for your content built on HTML5. 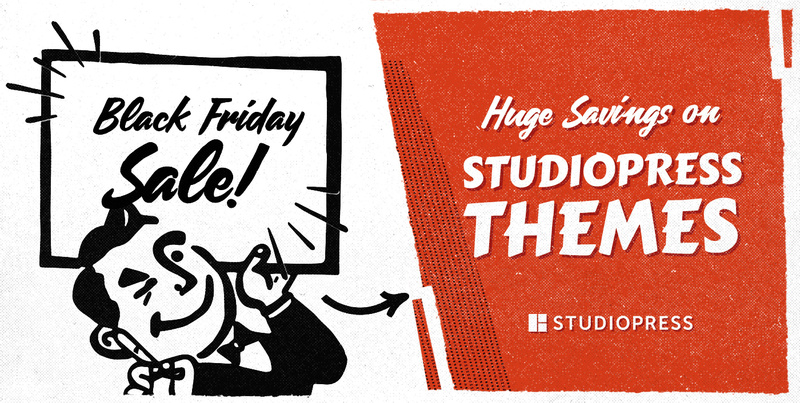 And yes — the discount is valid for multiple theme orders, and it also works for the Pro Plus Pack (normal price: $499.95). « Which Renewable Energy Source Has the Most Promise?